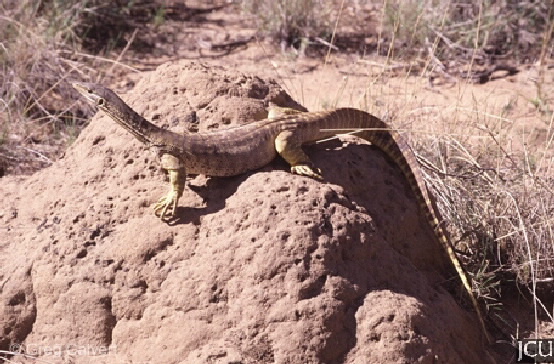 This goanna prefers open areas and is widespread in Australia. Normally hunts on the ground, rarely climbs trees. preys on insects, other lizards and small mammals but can also be found scavenging. Shelters in burrows, both own and borrowed and under logs.